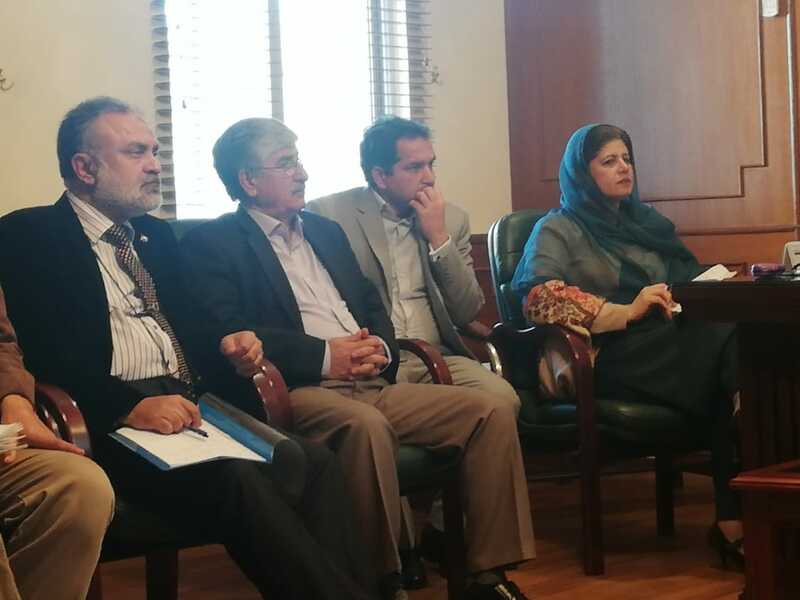 Bhimbher: Delegation of Lawyers called on Chief Secretary AJ&K Mathar Niaz Rana. 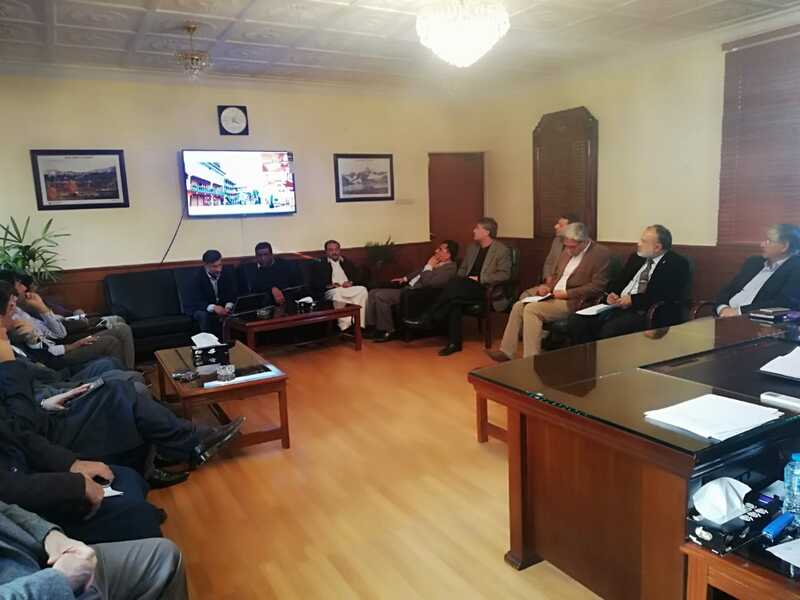 Muzaffarabad: Chief Secretary AJ&K Mathar Niaz Rana takes briefing from DIG Headquarters. 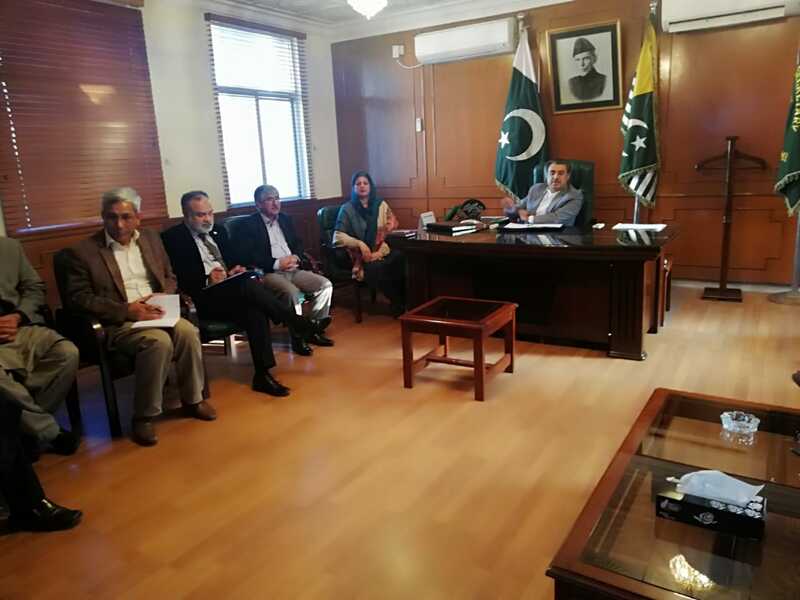 Muzaffarabad: Chief Secretary AJ&K Mathar Niaz Rana takes briefing from Secretary TEVTA AJ&K. A group photo of the delegation of common training program with chief secretary AJ&K Mathar Niaz Rana at Civil Services Academy. 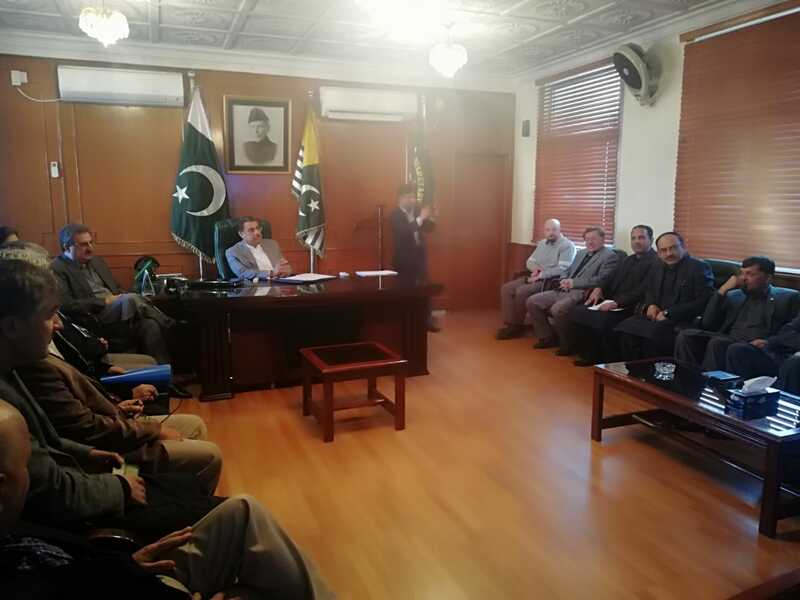 Chief Secretary AJ&K Mathar Niaz Rana presents shields to the officers of 46th common training program at Civil Services Academy. 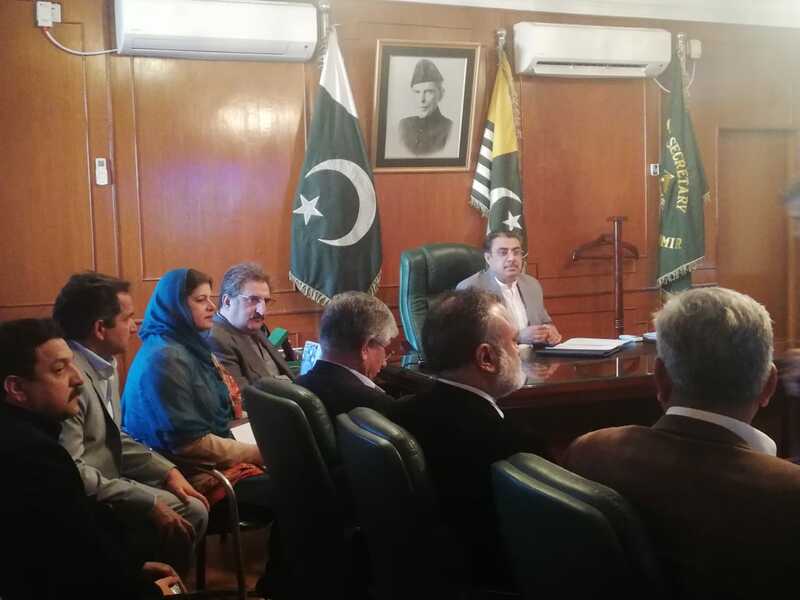 Mr. Mathar Niaz Rana has assumed the charge of 48th Chief Secretary Azad Government of the State of Jammu & Kashmir on 12th February 2019. 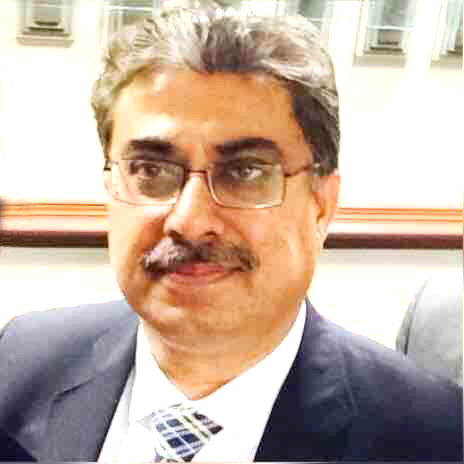 He is graduate of UET Lahore, Imperial College, Business School London, London School of Economics and NDU Islamabad. 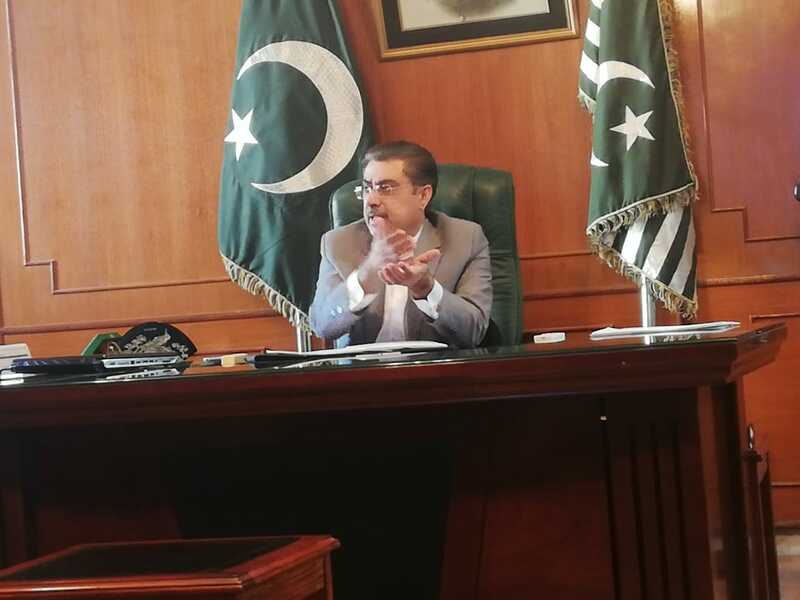 He has served on important positions in Islamabad Capital Terrority, Administration, Federal Government and Governments of Punjab and Balochistan.